Angel Ellis will help residents of Hughes, Okmulgee and Okfuskee counties figure out whether the Affordable Care Act makes sense for them. WETUMKA — Angel Ellis just switched jobs to become the public face of the Affordable Care Act in Hughes, Okmulgee and Okfuskee counties. Some people in her family thought she was nuts. Ellis, who had been working as a reporter at the Henryetta Freelance newspaper, grew up in Henryetta and knows how many people there feel about the sweeping federal legislation that is gradually reshaping the health-insurance landscape. Still, she saw the potential for good to be done and went to work two weeks ago as the first outreach and enrollment specialist at the East Central Oklahoma Family Health Center, which provides medical and dental services at sites in Wetumka and Henryetta. Ellis’ assignment is to spread the word among the 65,668 residents of the tri-county area about the new health-insurance marketplace being set up in Oklahoma. She’ll also provide one-on-one counseling to people interested in signing up. The online marketplace will begin accepting applications on Oct. 1. Coverage will begin on Jan. 1. Information is available at www.healthcare.gov. 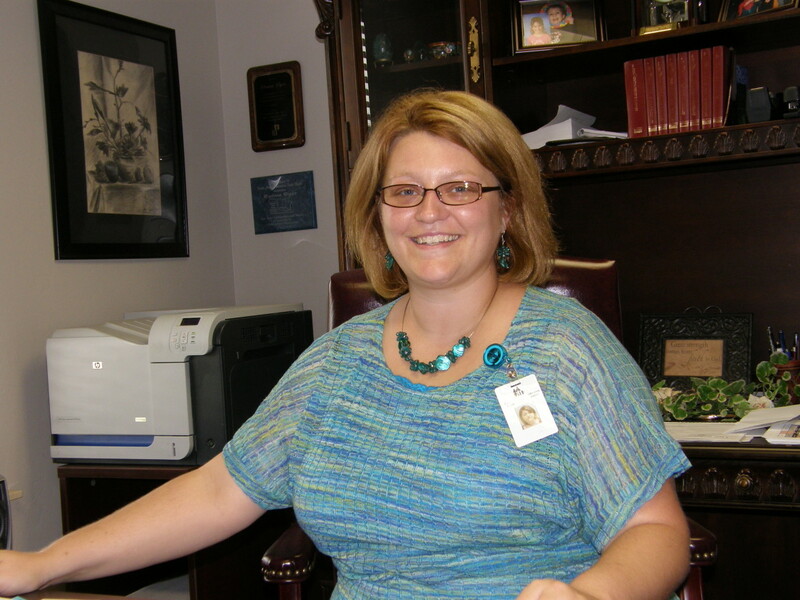 Ellis is one of 38 enrollment specialists hired across the state with $1.7 million in grant money provided by the federal government in July. She expects to divide her time about half-and-half between individual counseling and community outreach. She is still being trained as a certified application counselor. When she’s done with her training, she’ll station herself part of the time behind a sliding glass window in the lobby of the Wetumka health center. She’ll talk to people who might be eligible for subsidized health policies and help them navigate their way through the online application process. She know’s she’s got her work cut out, but she thinks she can find a way to mitigate widespread public wariness of the new federal health law. When she encounters people who seem dead-set against the Affordable Care Act, she plans to listen patiently and try to correct any misinformation she hears them repeat. When she’s not counseling potential marketplace participants, Ellis will be making the rounds of businesses and community groups in Wetumka, Henryetta, Holdenville, Okmulgee, Okemah, Weleetka and other nearby towns. She’s already plotting her path: community festivals, health fairs, vo-techs, parent-teacher conferences, chambers of commerce, Lions and Rotary clubs. Any place where she can dispense basic information about the insurance marketplace. Her public debut? The decision isn’t final, but Ellis is thinking about setting up a booth at the Hughes County Free Fair, which begins Aug. 21 at the County Expo Center in Holdenville. 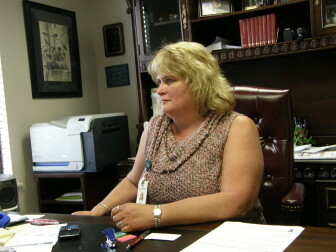 Donna Dyer runs the East Central Oklahoma Family Health Center in Wetumka, where about half of the patient population is uninsured. She’s working with health center CEO Donna Dyer to come up with a good pitch. They want to put a banner above the booth, but aren’t sure what it should say. Affordable Care Act sounds too bureaucratic; Obamacare too provocative. Hundreds of thousands of Oklahomans could purchase health insurance on the new online marketplace beginning Oct. 1. But state officials are doing little to promote the exchange or help people determine whether it will benefit them.